Aside from traditional cardboard moving boxes, plastic moving containers have become increasingly popular lately. Everyone who has moved house at least once in a lifetime knows how important it is to get quality packing supplies. When preparing for a big household move people are trying to find the safest way to transport their earthly possessions to a new residence. Most people get the real impression of their belongings only when they are facing an arduous task of packing for a move. As a matter of fact, a household move is always a good opportunity to find things you haven’t used or seen for ages, because they were buried deep inside the closet or in a storage area. The truth is that there are a lot of unwanted and unnecessary items that should be left behind so as to avoid cluttering up your new space at the very beginning. Moving to a new place is an opportunity for a fresh start, therefore moving every single thing from your previous home would be just pointless and absurd. Reducing your possessions to the least possible especially makes sense if you are downsizing to a smaller apartment. Whether moving locally or to another state/country, getting proper packing and moving supplies is one of the most important aspects of the household move. It’s in your best interested to keep your belongings well protected all along and only appropriate packing supplies will help you accomplish that mission. 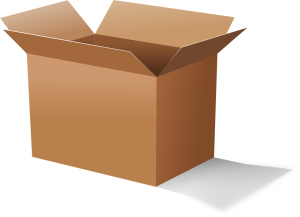 If you are wondering whether to rent/purchase cardboard boxes or plastic moving containers we would like to share some facts about each option. Here are some considerations about using cardboard and plastic containers. As we all know, packing and transporting household belongings may be challenging both for you and your wallet, so finding proper moving boxes should be one of the priority tasks when you are planning a move. When sorting through your items and preparing for the move, de-cluttering is the way to go if you want to save on the packing material. – Plastic moving bins can be reused and re-purposed after the move for storing and keeping your items safe for years to come. Plastic boxes can come in handy when it comes to managing off-season clothes, linens, books, IT equipment,… The containers are environmentally friendly and can be used over and over again. On the other hand, cardboard boxes can be used just a few times. – Reputable moving companies usually offer plastic moving containers among other services. If you choose to rent them, your movers will deliver the containers and pick them up at your new location once the move is over. As a result, there will be no additional waste and you will perform a more eco-friendly move. – There is no need for box hunting weeks before the moving day. You just have to call or visit the moving company and explain the situation. They will help you determine the exact number of the boxes needed to get the move done successfully. In order to get a clear idea of whether you can afford this service or not, request several moving quotes from different moving companies. – Movers deliver fully assembled containers to your old home. You don’t have to waste your time and effort putting them together and reinforcing them before the move. When the move is over, you don’t have to think about ways of getting rid of the boxes. 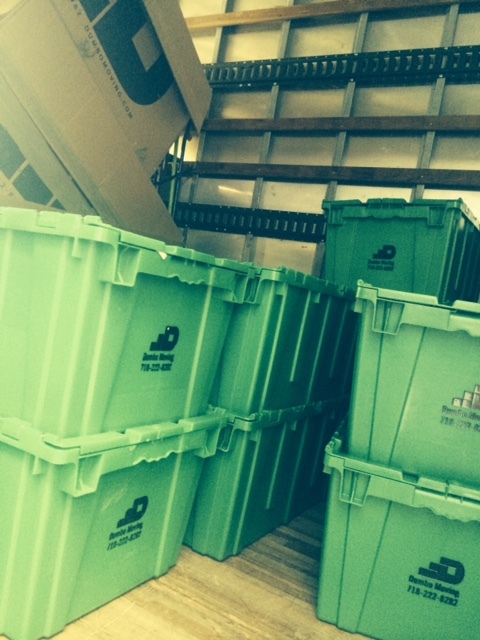 After you finish unpacking, box rental company or moving company will come by and pick up the boxes. – Plastic containers can be secured only with zip-ties, so there’s no need to buy additional packing supplies. – Rented plastic moving containers are durable and sturdy and equipped with hand grips which make them perfect for moving. – Moving containers fit perfectly together, so it will be much easier for you or your movers to pack them into the moving truck. – Labeling plastic containers is pretty simple by using erasable markers. – Along with plastic bins, reputable moving companies offer free dolly, stickers, twist ties and other convenient supplies that will make the packing process easier. – Once you unpack plastic bins, you can stack them and leave in the garage until movers or box rental company representatives come to pick them up. – Plastic bins are not meant to be used for packing large and heavy items and you need to make sure not to overpack them in order to keep them safe and protected throughout the move. Cardboard moving boxes – yes or no? If you decide to go for cardboard moving boxes, there are a lot of places where you can get cardboard moving boxes for free or for a fee: restaurants, grocery stores, moving companies, book stores, online shops. However, beware of the cheap, poor-quality cardboard boxes which can let you down easily on the moving day. Unfortunately, there are a lot of moving boxes for sale on the internet described as new or in good condition, but when you buy them, you actually realize that it is not the case. – Cardboard boxes take up less space in the moving truck, which is especially important if the moving company is charging you based on how much space your items occupy in the moving vehicle. – Cardboard boxes are available for free at the nearest retail shop. If you decide to purchase the new ones, that won’t burden your budget, since they are fairly inexpensive. – They can be obtained in a variety of sizes. When packing for a household move, you need to make sure you are able to lift and safely carry the boxes. While small moving boxes are great for packing heavy items like books CDs, tools and dishes, light objects like bedding, linens and blankets should be packed in large boxes. A suitable moving box must be able to withstand many other boxes stacked on top of the box without damaging the items inside. – Once the move is completed, there will be a lot of empty cardboard boxes making huge amount of waste. The good news is that some of them are recyclable, but since most of them are usually damaged or stained, recycling is not an option. 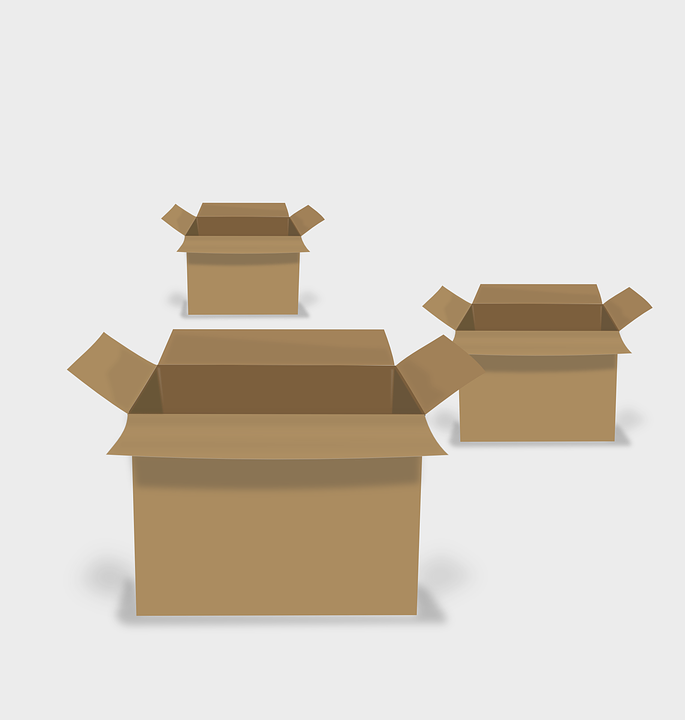 – Cardboard boxes are recyclable, so you can get rid of them effortlessly once the relocation is over. There are many ways to dispose of used cardboard moving boxes, but recycling them gives you the opportunity to take care of the environment and perform an eco-friendly move. Contact your local recycling center where you can dispose of the moving leftovers and find out if there are some special requirements that you need to meet. – Re-purpose sturdy moving boxes after the move by using them as storage containers. 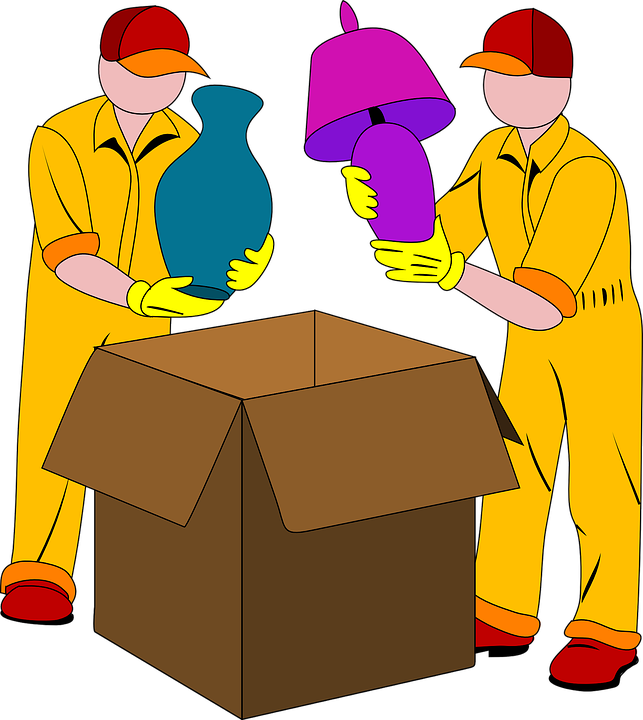 – If moving boxes are still in good condition and can withstand another move consider reusing them. However, avoid packing up your new home with used cardboard boxes and other packing supplies. Used cardboard boxes may take up a lot of space in your new home, so saving them for the next move wouldn’t be a smart idea. – Let other people know that you are giving away used cardboard moving boxes in good shape. If your neighbors or friends are moving house any time soon, cardboard boxes in good condition may come in handy. – If you have spare time, use clean cardboard boxes to engage in creative and entertaining projects with your kids and have some fun. If you are living in a big city chances are that there are a lot of box rental and moving companies. Call as many of them as you can, compare the prices, terms and conditions and availability. Furthermore, bear in mind that long-distance moves can be problematic in terms of renting plastic bins, so you may be forced to use cardboard boxes instead. Sometimes it’s easier for you to go for traditional cardboard moving boxes in order to get the move completed in a safe and efficient manner. Also, professional movers are able to provide a variety of specialty moving boxes like wardrobe boxes designed for storing and moving hanging clothes. Should I move house in the fall?